Is it Time to replace your Furnace, Air Conditioning or HVAC System? 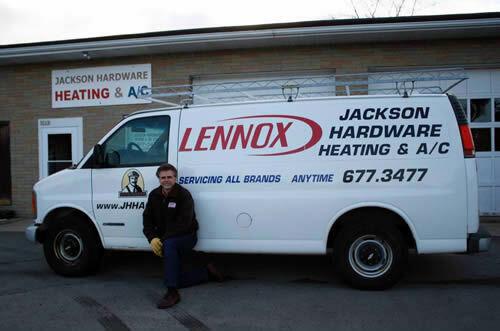 Jackson Hardware Heating & Air Conditioning has been an authorized Lennox dealer since 1919. 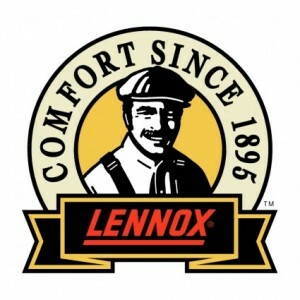 We correctly install Lennox heating and cooling products with no gimmicks and honest dedication. Customers count on us for exceptional service, honesty, integrity and unparalleled quality. As a testament to this, 58% of our new customer installations came from referrals in 2015. Professional Techs: We employ factory trained, uniformed technicians with extensive experience in heating and cooling equipment installations. We correctly install proven components that have performed well in hundreds of homes prior to yours. Why? Because both of us have to live with this equipment for many years. Experience: We have serviced Jackson, Grafton, Cedarburg, Mequon, West Bend and all of Washington and Ozaukee counties for over 27 years. No Flat Rates: Save money by hiring an HVAC contractor who charges by hour, rather than a “flat rate book price”. We are transparent and honest with customers – never taking advantage of you by artificially inflating time. We complete the installation quickly so you can get on with your day with as little interruption as possible. (We do provide a free quote before we begin the new installation). Communication: Our technicians keep you informed throughout the entire duration of the installation. Respect: You can count on us to be respectful of your home - we often leave an area cleaner than we found it! Why Choose Lennox Over Other Heating and Cooling Products? With their nearest distribution center located near Miller Park, Lennox has delivered proven American quality for over 100 years. Beginning with the introduction of the world’s first riveted-steel furnace in 1895, Lennox is well known for trust, innovation and quality. If you are looking for an energy efficient furnace or air conditioner, you’ll be glad to know Lennox makes some of the most energy-efficient heating and cooling products on the market - this adds up to real savings for you! Typically, we install new air conditioning units or furnaces in about half a business day, while furnace and air conditioning installations require a full business day, but this varies based on equipment or type of service needed. Is there a Warranty Offered on New Furnace or Air Conditioning Installations? Absolutely. Most customers receive a 10-year warranty on parts and a 2-year labor warranty on new installations. Need a Quote for Your New HVAC Installation? Whether you’re in need of a new air conditioner or furnace installation, one of our qualified, uniformed technicians will meet with you in your home to go over the different models we have available. Lennox carries heating and cooling products for all needs and budgets. You don’t always need the most expensive, over engineered piece of equipment on the market. Once we understand your requirements and budget, we’ll help you make an educated decision so you make the right choice on the most cost effective product that will not only meet your needs, but exceed your expectations. Once you select a model, we’ll provide you with a written quote that covers the options and equipment you discussed with your technician. Have a Few Questions for Us Now? If you have initial questions, call us at (262) 677-3477. You’ll speak with a live person no matter what time you call – day or night. We offer free diagnostics over the phone and even provide free advice for the “do it yourselfer”. Contact us and let us know how we can help with your HVAC installation needs.